We know first-hand the importance of having a computer readily available. That's why our IT solutions are designed to get your devices back online. Our networking services are also available to connect you to the world. Let us help you prevent harm to your property with our video surveillance system. Our systems can be set in place to deter criminals and unwanted activity around your home or business. Our staff and members of management have dedicated themselves to make our company a leader in the areas we compete in and remain true to our goal to deliver the finest products, services, and talent to our customers. We believe that the best is yet to come, and we invite you to join us in our quest for excellence. Contact us in Lafayette, Louisiana, to request more information on our computer services. 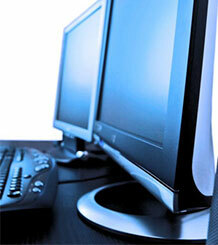 Get your PC running like new with computer services at Comtech Systems of Louisiana. Located in Lafayette, Louisiana, we fulfill a range of needs for your personal computer or laptop. We offer service and repair of computers, servers, and networks. Also available are our service surveillance systems to protect your residence or business. We take great pride in developing innovative solutions for residential and commercial customers with an eye towards value and efficiency.